If you came to one of the recent Compulsory Basic Training (CBT) standards check roadshow events, you would have heard us talking about increasing the number of locally-based CBT managers. Well this work is well underway; we’ve started training staff in areas that don’t currently have a local CBT manager. This means that some of our motorcycle examiners need to be at the DVSA Training Academy in Cardington for around 4 weeks. During this time we’re working closely with our deployment team to achieve our 6 week waiting time target during this short period of staff development. Moving forward, we’ll aim to continue recruiting and training motorcycle examiner staff. This means we can offer a stronger flexible workforce who can help meet our waiting time targets. As we aim to improve the support we provide on CBT, we’re also looking to motorcycle trainers to help us. From monitoring the waiting times, we’ve noticed that trainer booking cancellations are still far too high. In the last 11 months (between March 2015 and the end of February 2016), trainers had handed back over 9,000 Module 1 and almost 7,000 Module 2 test slots within 7 days’ notice. We’ve seen that giving back test slots at an earlier stage can have a positive effect on waiting times, however as the above numbers show there’s still more to be done. We do appreciate that sometimes you have to cancel bookings; but giving us as much notice as possible will make more test appointments available, making the system fairer for all. Throughout this year, we’ll continue to monitor motorcycle test waiting times and how this affects the trainer booking system. We want to make sure everyone gets the test slots that they want, first time. We’ll also aim to provide you with better access to a CBT manager by recruiting more staff and keep you up to date with any other matters concerning motorcycle training. DVSA has now (at long last) allowed trainers to "tailor" the CBT to the individual. What they call Client Centred Learning. It's a fairly new change and the industry hasn't reacted yet, still feeling their way. But this will, I am sure, lead trainers to increasingly offer a "Repeat CBT" special at much reduced cost, shop around, it may already be in your area. But, the law does require CBT and that in itself is unavoidable. You don't need training, just to show you're still doing it right though, hence the scope for a quicker / cheaper course. Of course, if all you want is the little bike and really do believe you're good enough to pass the learner test; you can book your own test - only "big bike" needs the expensive trainer route, you don't have to keep doing CBT, that's your decision. Paul, I, and I am sure many other trainers find that just because a rider has undertaken a CBT several times does not necessarily make then a rider who knows all that they need to know. People returning to do another CBT after 2 years have often forgotten a lot of what they were taught. Direct Access Scheme / A2/ A1 students are often surprised at what they didnt know about motorcycling, CBT is exactly that - basic. Those of us in the motorcycle training industry do not make lots of money, far from it, but most of us are passionate about bikes and keeping bikers alive no matter what size of bike they ride. CBT is not a test, its a training course, what price your life? Paul. Firstly I can understand your frustration, however it might help if you know the background to the CBT course. The CBT law introduced in 1990 saw a 70% reduction of motorcycle accidents. It was introduced as a means of getting bikers safe on the road and giving them a two year window to get a full licence. The spirit of the CBT is that the rider practises their skills to take a full test during those two years. What has subsequently happened is that some bikers,,like yourself, have used the CBT 'system' to their own advantage and outside the spirit of how it was meant. Such bikers, like yourself, are left with a choice of continually taking a CBT or taking a test. 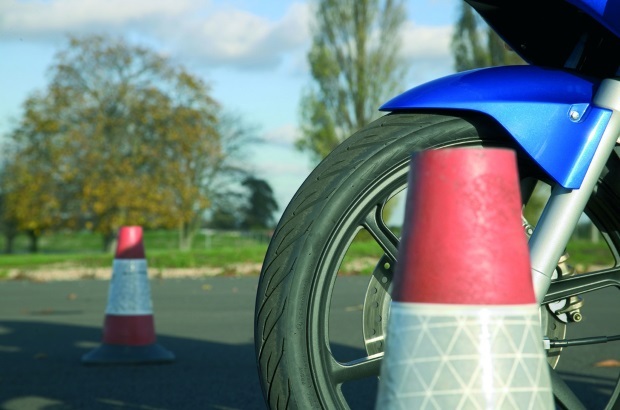 The practical test is less than the average CBT course (£90.50) and the theory is £25.00. The main advantage of taking your test is of course feedback. You will undoubtedly become a better rider, regardless of your experience so far. Good luck whichever route you choose. Paul (16/03/2016)...you are creating the problem of paying £90:00 every two years. All you had to do was take the Theory, Module 1 & 2 on your small bike job done, no more fees on a CBT course (Its NOT a TEST). I understood that if your licence was of a certain date, you are only required to take the CBT for the first time on the road. I understood it that way as detailed on the back of CBT Certificate, I'm over 50 and only took the test once. I agree with the comment from Paul why when you've been driving over 40 years on a bike for 15 years keep every 2 years doing a CBT, it's the usual easy moneymaking scam. I only use the bike to get to work and have no intensions of getting a bigger bike or wanting an full license. It's the muppets on bigger bikes that need a test every few weeks, ideally! I agree with Ste' go get yourself a restricted licence, then you can ride your wee bike to your hearts content and even pay less for insurance. Better still go and do advenced training once you've got a licence and find out how much you don't know about motorcycling and become very much safer to yourself and other road users. I teach CBT'S and full.licence courses. We often get people in to do a 'renewal' cbt. As with newby cbt's you have to complete all elements including the min 2hr road ride element E. The standard of those returning is not always very good considering the person usually has a long term car licence . Those going on to do a full.licence often comment how much they have learnt and how much their driving has improved. On occasions we have not been able to issue a cbt cert for a 'renewal' as the standard of riding is so poor. As for a money making scheme, the DVSA only gets the £8 cbt cert fee. The rest is to the company who runs the cbt and has to pay staff wages etc. When the Governments own figures show that most rider deaths are caused by drivers, when will ALL new road users have to take a CBT before being permitted to drive on the public highway? Surely such a measure would improve driving standards across the board making roads much safer for all motorists regardless of how many wheels the have. 2 year entitlement to take the test........ THEN take a moped OR small bike OR large bike test... and THATS IT. 2 years to either ride as a learner on L-Plates OR take the test. You have a choice of A1, A2 or A dependant on you're age. As a full licence holder you are safer, more knowledgeable, take pillions, ride on motorways, get cheaper insurance AND are statistically much less likely to be involved in an accident. Don't want to redo CBT every two years? then pass the theory test & take yourself to test on your own 125, once you pass then you never have to take a CBT again! The only gripe we have is a different theory test for each type of vehicle that you would like to take a test on (Bike, Car, HGV & PSV) A far more suitable option would be a ROAD USER Theory Test with then a "bolt on" option for HGV & PSV, this way everyone would get the option of taking a Bike & a Car test within two years. Also a Road User Theory Test could be rolled out in schools & collages, as pedestrians, cyclists & equestrians are in very much in need of this information before they can apply for a provisional licence that allows them access to a motorised vehicle? Those who argue that it's just a money making scheme, should try running an ATB (training school) & see just how much money there is to be made!!!! Proper CBT for someone who has never ridden before is always going to take at least 6 hours (providing they are safe enough to take part in Module E!) So any CBT "retake" course must be a minimum of 4 hours (by law?) to allow for refresher off road elements before the minimum 2 hour (Mod E) road ride. Then enjoy yourself riding safely. Terry (16/03/2016) - As above with response to Pauls comments...do the tests job done....!!!!!! I've been an instructor now for roughly 20 years. In all that time the CBT hasn't changed. Unfortunately because it was initially passed as a law the DVSA cannot change anything without parliament approval which could take up to five years and no government has that much time. The new plans are only advisory and not enforceable. I for one agree that things need to change and I'd be happy to adopt things and move more to client centred learning with knowledge quizzes and more time spent focusing on the needs of the individual, but most schools won't because this takes more time and needs better instructors which effects the bottom line. These same schools block book test slots and give them back at short notice to make things difficult for rival companies. The DVSA are aware of this practice but do nothing to stop it. What incentive is there for me to do things better than the next man when he is allowed to constantly cheat the system to maximise his profits? Training schools handing back tests at short notice should be penalised and aren't, we can't arrange a full course in a 7 day window, but the DVSA make no mention of the number of these cancelled tests that are snapped up for retest! They are not unused resources which is the slant they're trying to give. 1·My gripe anybody passing there motorcycle test in the sixties and seventies can go out an ride on the roads the the biggest cc bike without any lessons if they haven't driven a bike for 40yrs. 2·Anybody before January 2013 who passed on a 125 cc. Could after two years depending on age obtain a full A licence then ride a bigger cc bike without any lessons. 4· Now I have to do it all over again WHY I have been driving since 1966 all over the world have a Full THAI motorcycle licence ( try answering 50 questions on Thai law) years drove all around Europe,Australian,America. can drive a bike straight.